We introduce the class B0 of linear operators in L2 satisfying the generalized von Neumann condition. Various sufficient conditions are established for the membership of operators in the class B0. 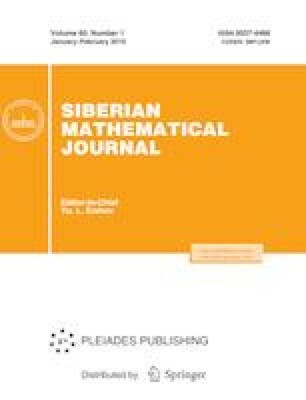 Linear functional equations of the first and second kind in L2 with operators of class B0 are considered. Translated from Sibirskii Matematicheskii Zhurnal, vol. 60, no. 1, pp. 118–123, January–February, 2019; DOI: 10.17377/smzh.2019.60.110.